The verses in this song are as heartfelt as the words of an innocent kid. “εnyε wo maame ba pε nso ne wonua”, love exceeds blood relation. Hence cease any opportunity to make me feel wanted. This, Efya preaches in her 3rd Single off Her Debut Album, The Love Genesis. She records her vocals over Bisa’s contemporary highlife instrumental. It’s amazing how Bisa is responsible for the production of this tune, and also responsible for the soothing-like-silk last verse on this record. 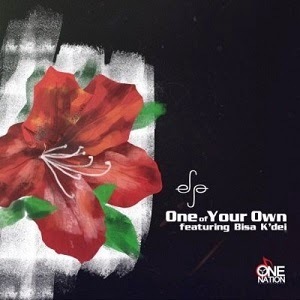 Stream “one of your own” here & tell a brother to tell a sister that love surpasses all.